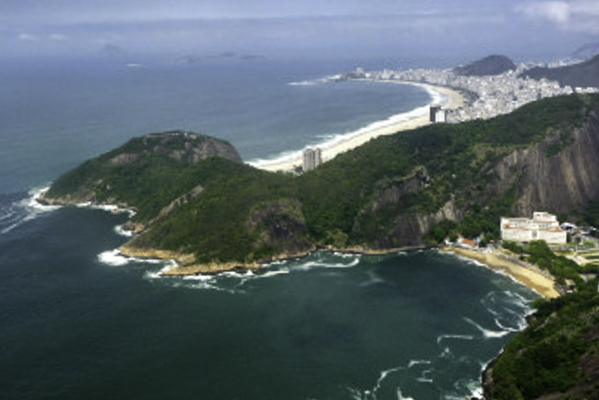 Find your own inner Girl or Guy as you stroll the sands of Rio’s legendary beaches. Stretching east from the tony neighborhoods of Leblon and Ipanema to celebrated Copacabana Beach, Rio’s sweeping seaside playground is the envy of cities worldwide. Each section of beach, called a “posto” and numbered, has a different personality, in part reflecting the communities they serve– single, gay, hipster, beautiful people. Black and white mosaic-tiled walkways undulate in wave-like patterns that delineate one beach from the next. Designed by South America’s most important landscape architect, Robert Burle Marx, the boardwalk’s striking patterns are the stage-set for bikers, skaters, joggers and those out strolling daily, dawn to dusk. Sundays, when Avenida Atlantica is closed to traffic, Cariocas are out en masse enjoying their city. Getting high in Rio de Janeiro, one of the world’s most topographically majestic cities, is an adventure that’s legal, scenic and sublime– or as the Cariocas might say, “Legal!” (pronounced “Legao” and meaning “Cool!”) Mountains of granite with distinctive profiles and evocative names thrust skyward, shaping Rio’s dramatic contours and offering incomparable vantage points to the photographer, artist and dreamer within us all. 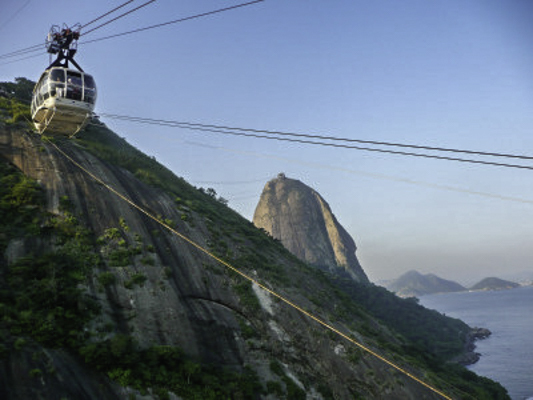 Whether you take the cable car to Pão de Açúcar (Sugarloaf), streetcar/bonde to Santa Teresa, wheel and pinion train to Corcovado, or hang glide off Pedra Bonita cliff 1700 feet to the beach below at Sao Conrado, you’re guaranteed a chance to rise above the Cidade Maravilhosa where the air is clear, the views unmatched. Each, a classic Rio de Janeiro high. At nearly 1,300 feet above Rio, Pão de Açúcar (Sugarloaf) is surely the ultimate high, and well worth the $25 ticket on the cable car that ascends two separate mountains. 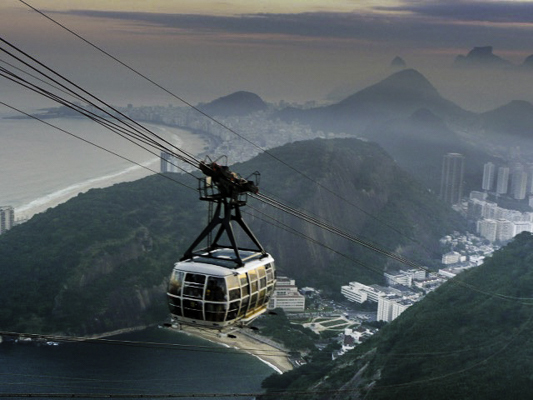 Ride the car up in the late afternoon, in time to take in the sweeping 360-degree-panorama in daylight, to comprehend Rio’s amazing topography. 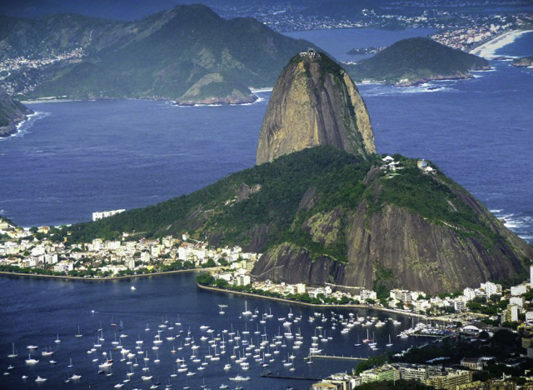 Listen in as a guide explains key landmarks in three languages, pointing out the two forts below that guard the entrance to Rio’s Guanabara Bay. When Gaspar de Lemos arrived from Portugal in January of 1502, he and his crew mistook the expansive bay for a huge river — hence the name Rio de Janeiro or River of January. 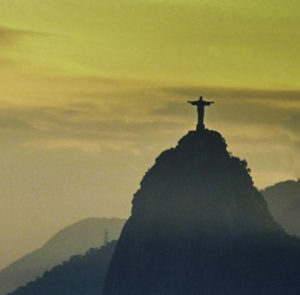 Sunset turns the sky aflame, giving an appropriate halo effect to Rio’s other icon, Cristo Redentor, who looms over the city at 2,330 feet above sea level, with arms outstretched atop Corcovado. Stay to watch nightfall with its million twinkling lights. Precede your visit to Sugar Loaf with a walk through Urca, the leafy seaside residential neighborhood at its base. We followed our own walking tour, enjoying the gracious mansions with their decorative tile work and flowering gardens, watching fishermen cast their lines beyond the seawall. The casino where Carmen Miranda was discovered performing has been restored, and as the road winds uphill, you’ll pass the house where she once lived. It’s marked by a plaque, set across from thick tangled forest at the base of Sugar Loaf Mountain. Capuchin monkeys scamper along the branches and power lines overhead. 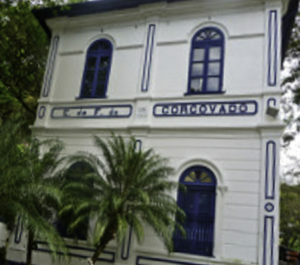 Some of Urca’s elegant mansions have become clinics for plastic surgery, big business in today’s Brazil! Stop for a chope (draft beer) and empada de camarao (shrimp turnover) at Bar Urca, an award-winning botequim (bodega or bar) with a view. Begin and end your trip at lovely Praia Vermelha, named Vermilion Beach for the color of its sands. It’s located right beside the Cable Car ticket office. Standing almost anywhere in the city, one looks up to see the monolithic statue, arms outstretched in benediction. Built in 1931 of 1145 tons of stone, Cristo is omnipresent, nearly 100 feet tall, and night-lit for round-the-clock inspiration. He stands on a 26-foot pedestal containing a chapel that can hold 150 people. The scale of the statue, the height of the mountain and the sweep of the panorama of Rio de Janeiro combine to create a dizzying experience. 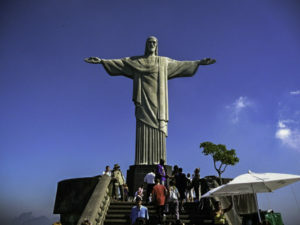 Visitors speaking every language pose in front of the Cristo, arms outstretched like his. They follow his gaze to Pão de Açúςar/Sugar Loaf, Rio’s other majestic vista point, circle the viewing platform at the summit, and discover the layout of the city at their feet. From 2,330 feet above sea level, the view is memorable, especially early or late in the day when the light is soft and dreamy. Rio’s legendary beaches, Copacabana and Ipanema, lie below the outstretched right arm; the downtown and harbor areas are stage left. Plaques designate Rio’s many landmarks and features. The best ascent of Corcovado is by cog train. The historic electric train chugs its way up the mountain through Tijuca National Park, deemed the largest urban forest in the world. Rio’s largest park covers 8,000 acres of Atlantic Forest, laced with hiking trails through flora and fauna that includes over 100 species of animals and over 30 waterfalls. More than 600,000 visitors arrive each year at the summit on Brazil’s first electrified railway, opened in 1884 by Emperor D. Pedro II. The train departs every half hour; grab a seat on the right for the best views. 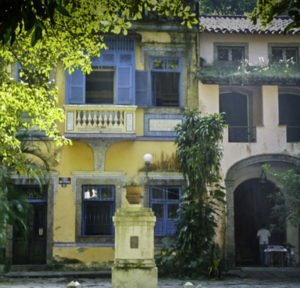 Next to the train station in the neighborhood of Cosme Velho is the International Museum of Naïve Art of Brazil, the largest museum of its kind in the world, lovely old mansions, and a picturesque square, Largo do Boticario, dating from the early 19th century.